Built in 1816 with gracious events in mind, Tudor Place has radiated serenity and elegance for nearly two centuries. 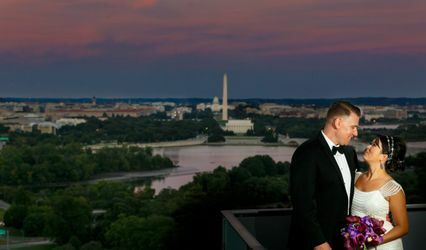 Let us bring that feeling to your special day! 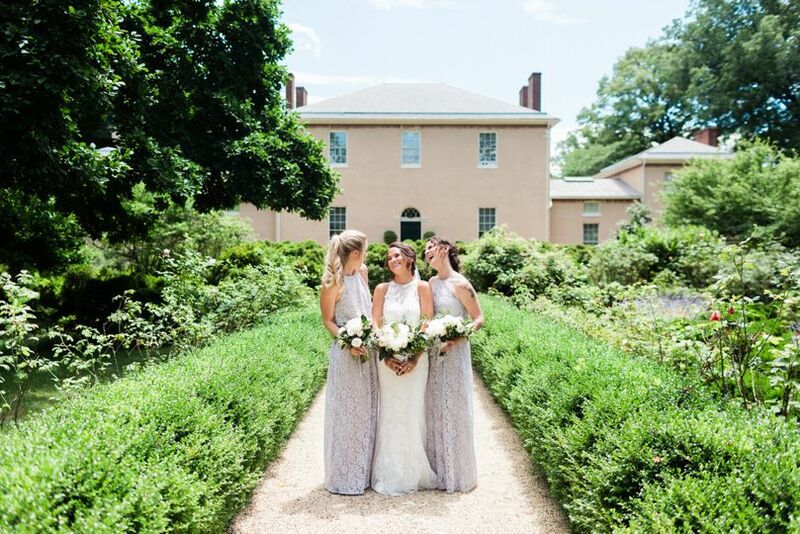 Leafy and open, Tudor Place Historic House & Garden can feel like a rural retreat, but this historic Georgetown estate is right in D.C., convenient to downtown, Virginia, and Maryland. 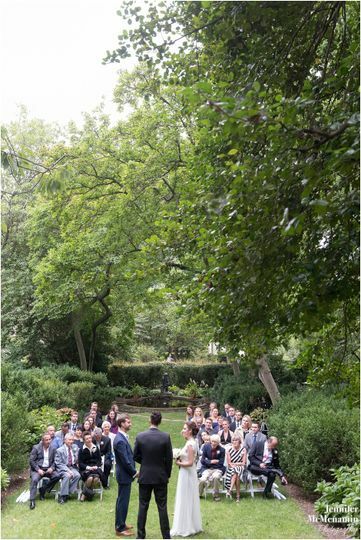 Venue locations onsite include the outdoor garden areas: East Lawn, Bowling Green, and South Lawn, and the indoor 1867 Victorian Dower House. 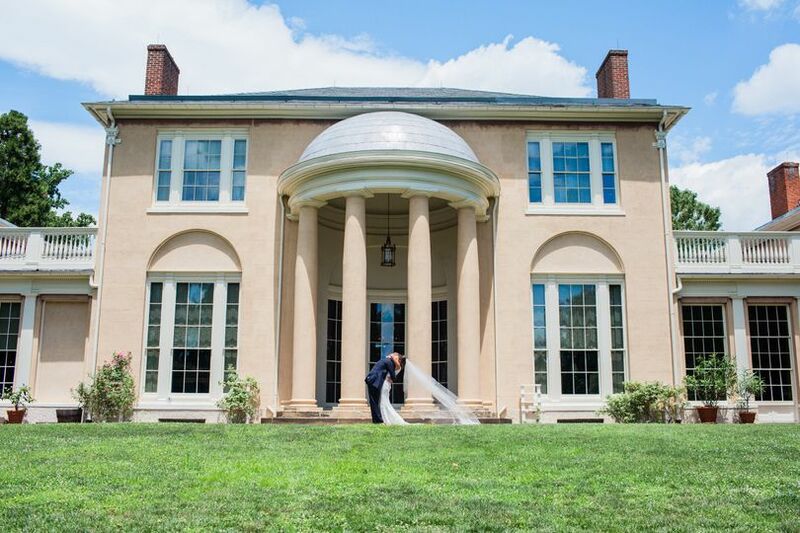 Add interest to your event with a guided tour of the National Historic Landmark house! 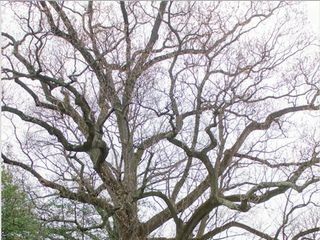 ∞The base of the Tulip Poplar on our South Lawn, an airy open space crowned by one of our 200-year old trees. 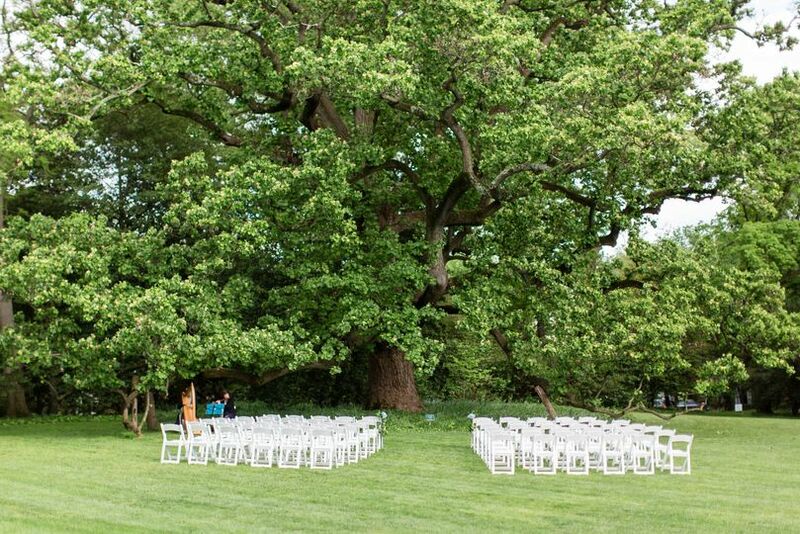 Tudor Place's 5 1/2 acres of lushly landscaped gardens and historic structures lend a sense of elegance from centuries past to your special day. 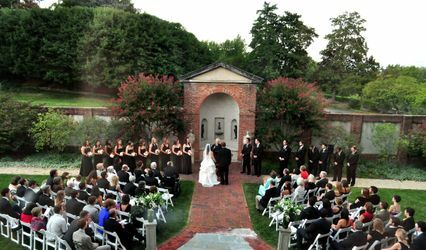 When looking for that perfect place, consider joining the long tradition of memorable events hosted at this gracious venue. 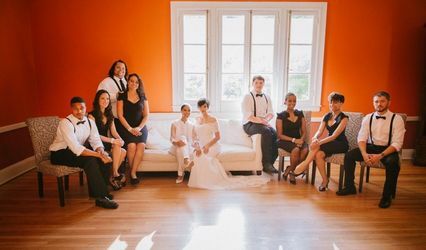 I absolutely loved my wedding at Tudor Place. 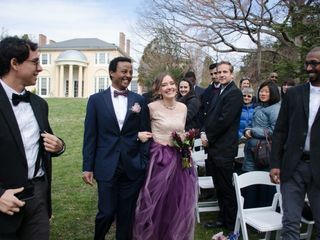 We had a small wedding with just family in January. Michaela was a huge help with our wedding by allowing us to come with our photographer to do a walkthrough. We had the whole Dower House to ourselves and we brought our own flowers to make it our own. Our family could not stop raving about how amazing everything was. 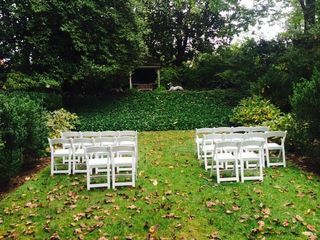 This location was perfect for our small, intimate wedding and I would recommend it to everyone! 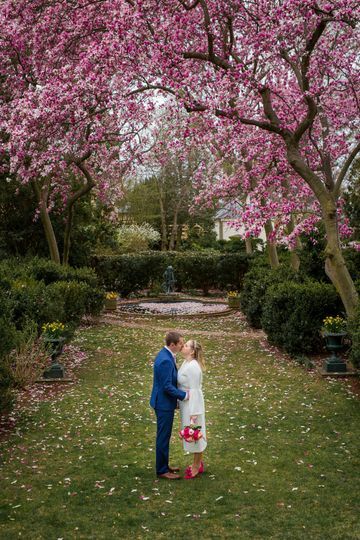 We had a very small wedding, for our immediate family, and were looking for an amazing outdoor space, with an intimate ceremony space and gorgeous grounds for photos - Tudor Place popped across my radar, and I'm so glad it did! Michaela was so wonderful to work with - she rearranged her schedule to accommodate showing us the space, and handled all of my questions and emails quickly. Not only did she make the wedding planning a breeze, but she kept me calm with back up plan upon back up plan when Hurricane Florence appeared to be heading our way the weekend of our wedding. 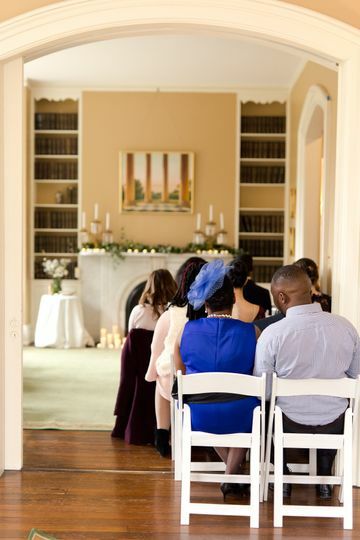 She set up our ceremony space both outside and inside, to let us wait and make a decision right up until the last minute. I would highly recommend Tudor Place to anyone! Tudor was absolutely beautiful and the staff were so helpful and accommodating. We loved the place and the help in making our day how we wanted. 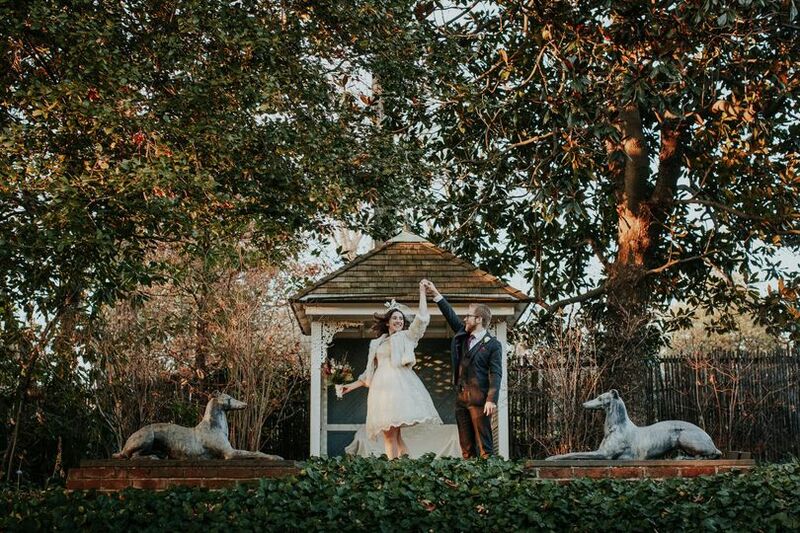 The grounds added a variety of backdrops for our wedding photos and we appreciated the tour for our guests while we took more photos.